If you had told me a year ago that going to the KOTESOL International Conference was going to change my life, I never would have believed you. But seeing one presentation did just that. Following the recommendation of @michaelegriffin – then only known as Michael Griffin – I attended Chuck Sandy‘s 10am Sunday presentation. He spoke of the value of creating communities: if you don’t have one, create one. At the end of the presentation, he talked about one such community of teachers he helped create called International Teacher Development Institute (iTDi). The talk was inspiring in so many ways, but there was a 20 second soundbite that pushed me in a very important direction. “Who’s on Twitter? Get yourself on Twitter! They are no longer pictures on a screen. Yitzha is my Instagram buddy, a constant source of light on Twitter, and now a friend I am fortunate enough to have had dinner with. Barbara, who inspires us via her own online community, Teaching Village, is someone I have exchanged thoughts and smiles with. 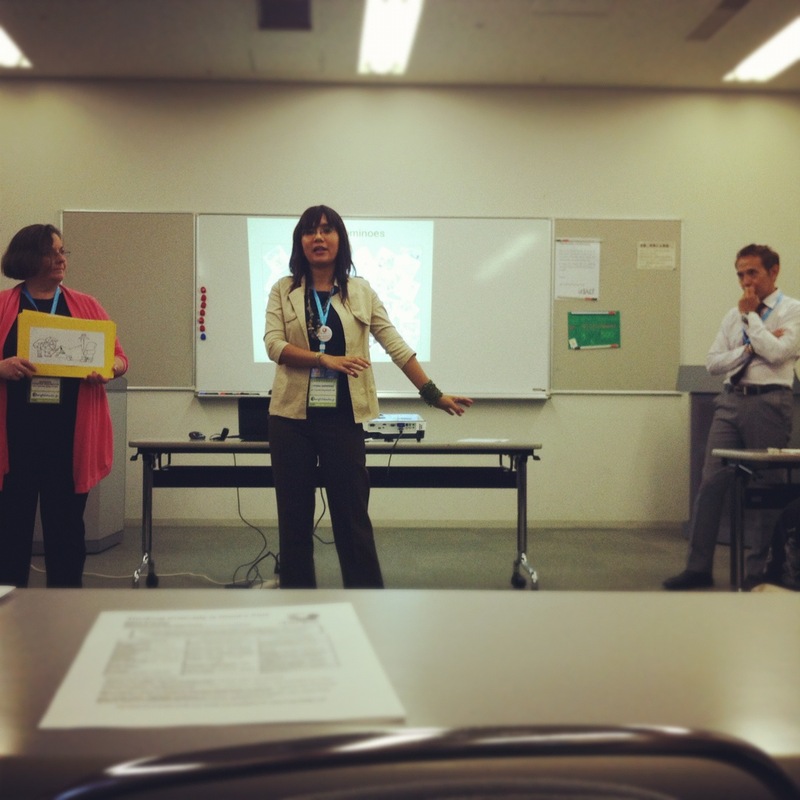 Meeting Marco at JALT was an infusion of joy. I am very happy to now be connected to him. If I hadn’t seen Chuck’s presentation, I doubt I would have made my journey to JALT, which this video shows was very much worth it. A year has passed since that fateful conference day, and now it’s our turn to present about a community we created on Twitter: KELTchat. I look forward to standing with Alex Grevett, Alex Walsh, Michael Griffin and Anne Hendler as we talk about how and why we came to be. I am incredibly grateful for the communities I am a member of thanks to that inspiring October day. *A little known fact: I had been on Twitter for two years, apparently dropping my blog posts into the abyss before I met Chuck. Until that day, I had no idea how powerful/magical Twitter really was.